Acer has been knocking out PCs for as long as we can remember and now wants to become a big player in the smartphone space with as many as four newWindows 10Mobile handsets. The glut of Windows Phone devices are expected to be released at the upcoming IFA 2015 conference in September, according to Roland Quant from WinFuture, and will be some of the first to run on the new OS. Few other details were outed, however, with four devices on the horizon we can expect different ends of the market to be targeted by handsets release for the low-end, mid-range, and high-end sectors of the smartphone market. 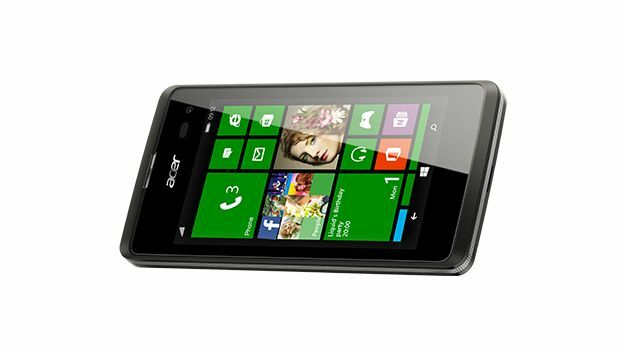 One possible handset is an update to the Acer Liquid M220 that runs on Windows Phone 8.1. Features-wise it has a 4-inch WVGA display, dual-core chip clocked at 1.2GHz, 512MB RAM, a 5-megapixel rear lens and 2-megapixel snapper on the front. It also has 4GB of onboard memory with expansion possible by using a microSD card. Even if Acer does debut the phones at IFA in September it could be some time until they actually arrive with Windows 10 Mobile on-board. Microsoft plans to hand the OS over to mobile operators at some point later this summer and we can expect to see it arrive on handsets at some point this year. Acer's handsets are unlikely to be the very first to have the new mobile OS and there are even rumours of a Surface phone that could be the first smartphone to get Windows 10 Mobile.